Today’s transportation industry is looking for new ways to effectively use technology to improve operational efficiency and enhance the customer experience. To meet these challenges, organizations require solutions that are flexible, expandable, provide centralized management, and reduce manpower demands. ATEN solutions create optimized work environments through centralized control, with the added peace of mind of secure remote access. Multiplatform support allows a combination of PC, Mac, Linux, and Sun computers- as well as Serial Interface devices- to happily coexist on a single installation. 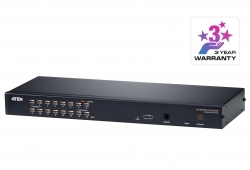 ATEN solutions provide direct connection and zero-latency distribution, ideal for time-critical applications. 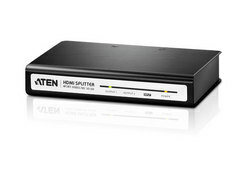 Powered by ATEN’s unique Scalers and seamless engines, ATEN's Seamless Switch™ Series delivers fast and precise video streaming without delay. ATEN has a comprehensive range of solutions that have the flexibility to deliver on any project scale. 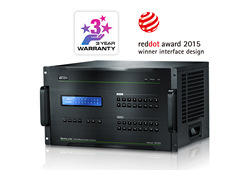 High-quality signals can be effortlessly transmitted over large distances without noise or distortion. In addition, ATEN products undergo rigorous health and safety testing, including Electrostatic Discharge (ESD) and vibration reliability tests.